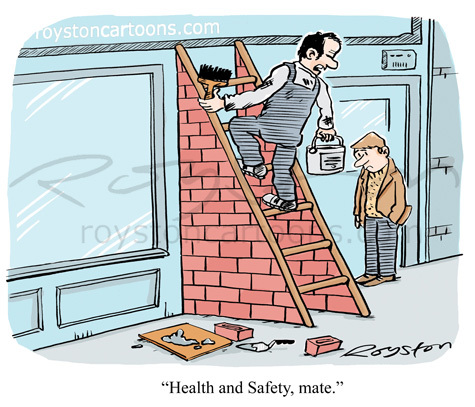 Sometimes cartoons take a while to appear in print, as I've mentioned here before. This was taken by Reader's Digest in April 2010 and appears in the March 2012 issue. Thankfully the waiting period is not usually that long! 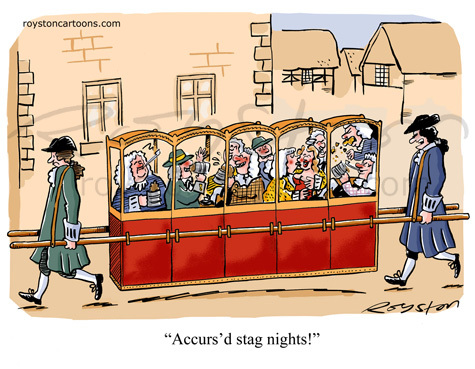 "Accurs'd stag nights!" was my original caption but I was beaten by Malcolm Ainge, a reader who suggested "This is the last time I volunteer to be a designated driver!" ... which I have to admit is pretty good. Curses! This now brings my personal Beat the Cartoonist score to: Me 3, Readers 2. So, the tide is turning! 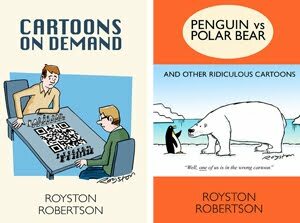 Click here for all posts on Beat the Cartoonist entries.